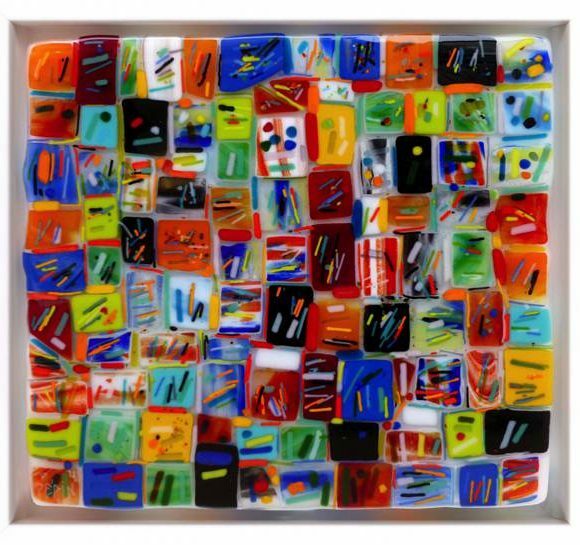 At one point, I wanted to approach the luminosity of matter from a different angle, to work closer with pigment. 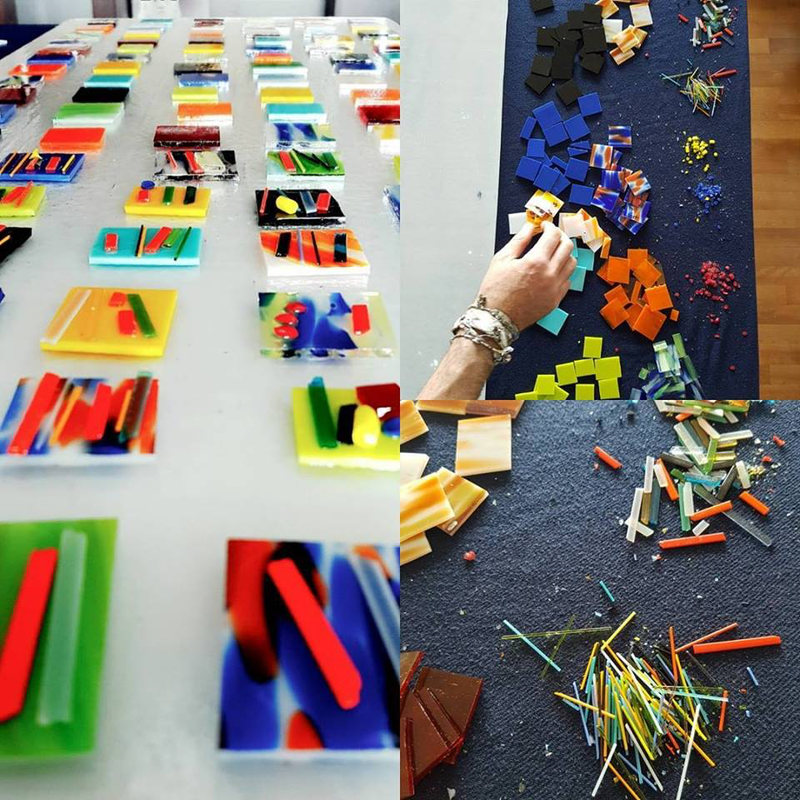 Glass was the obvious choice because of its transparency, which allows light to pass through the boundaries of the material, enhancing the colour. 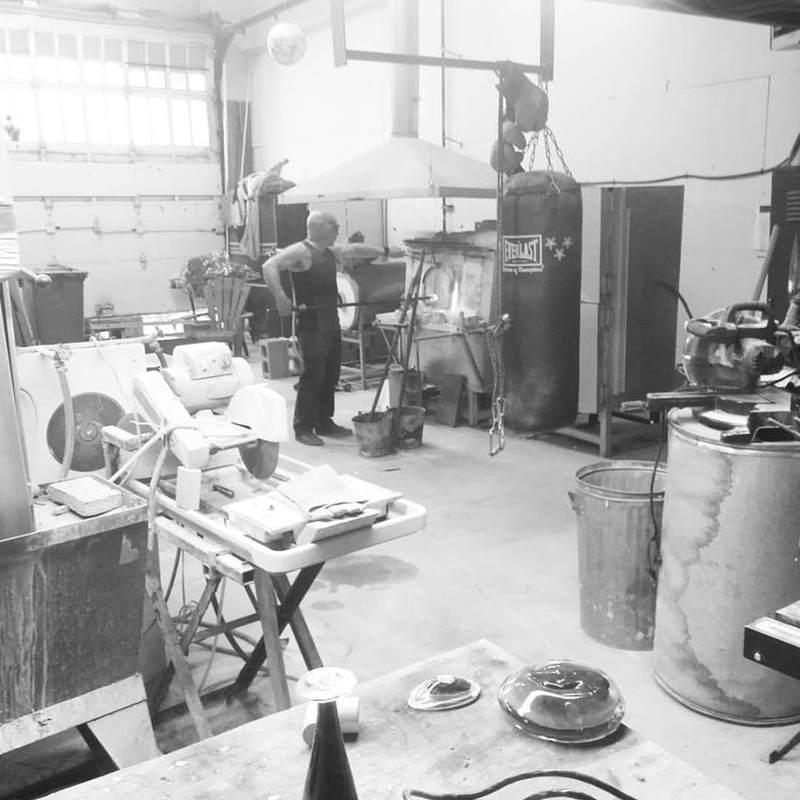 To succeed in this exploration, I called on the expertise of Jean Bélanger from Verrerie Coquelicot. 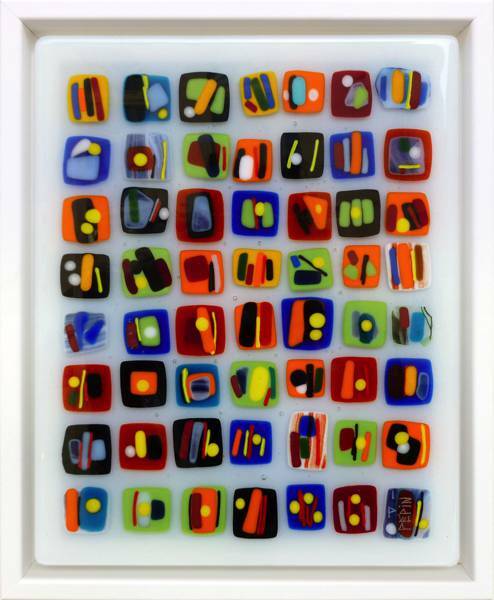 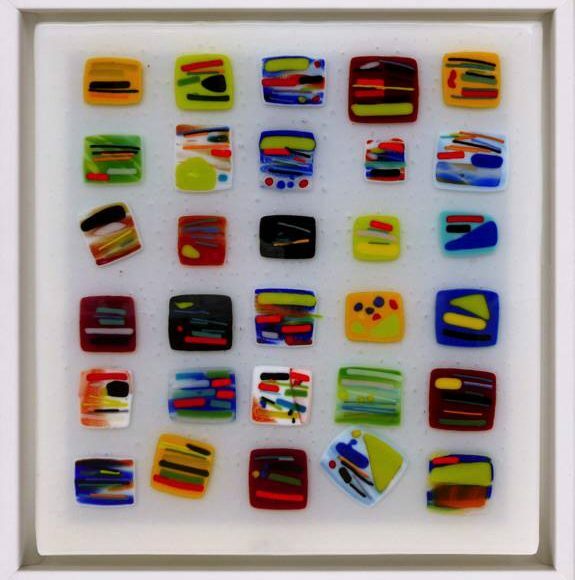 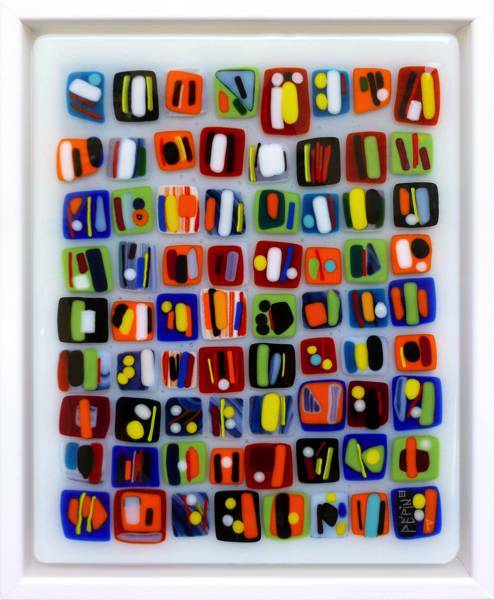 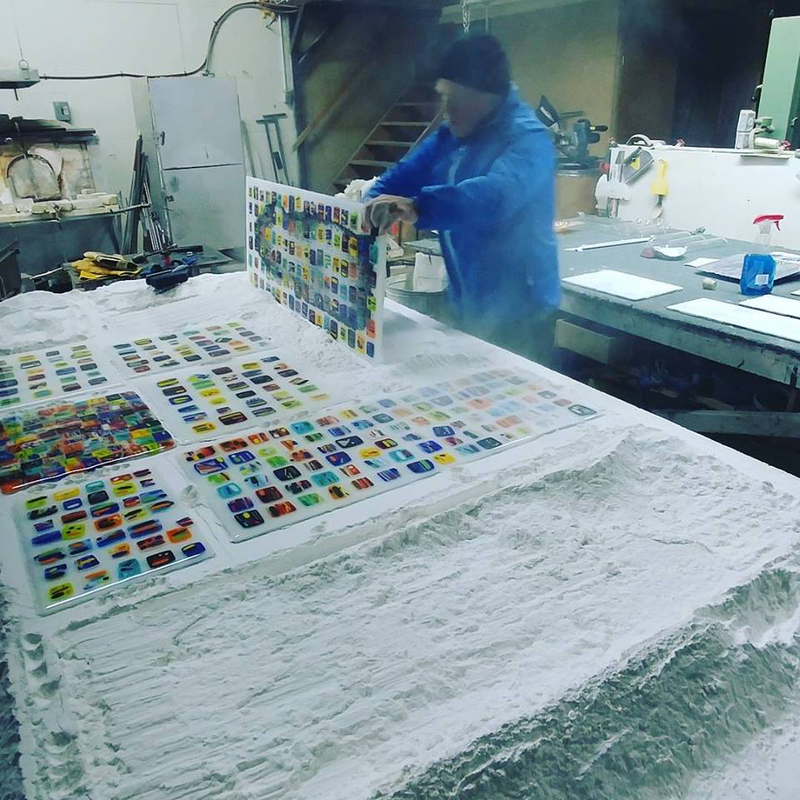 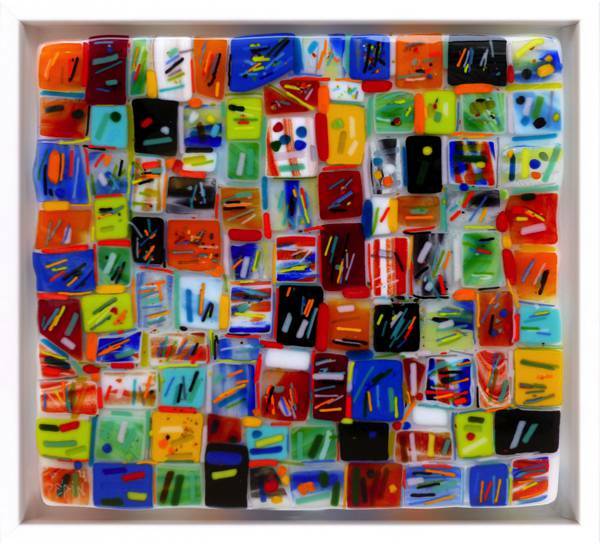 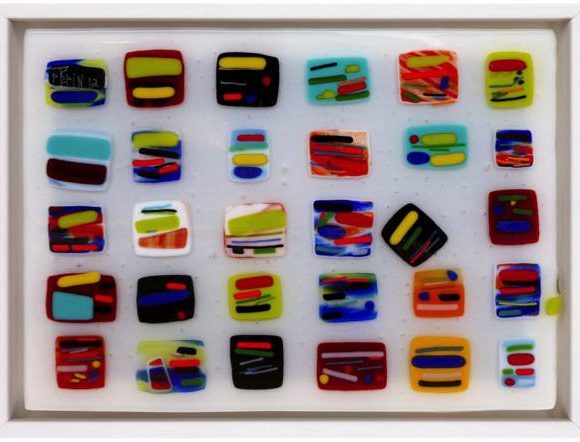 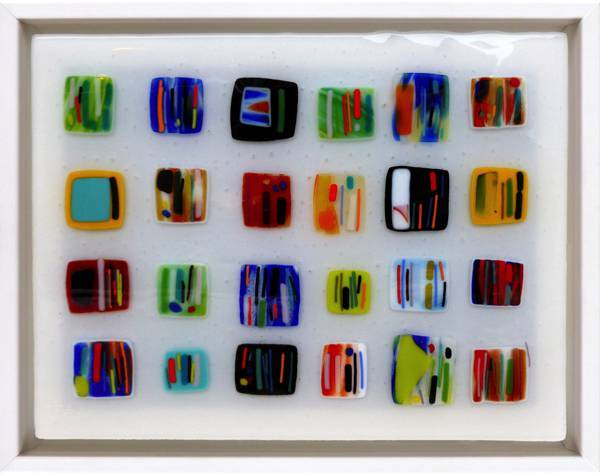 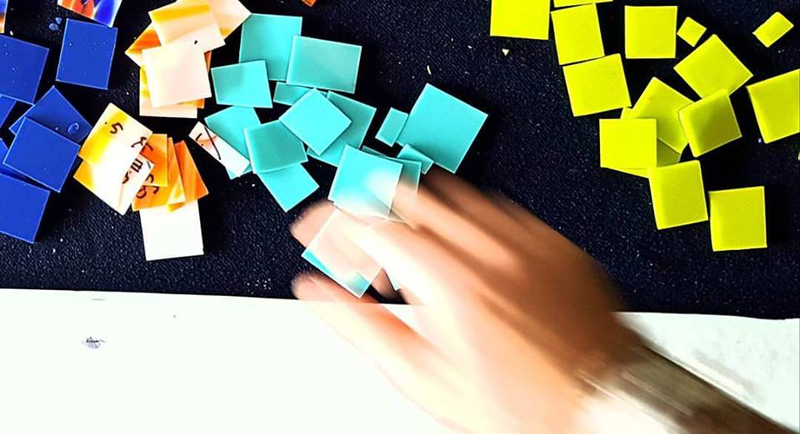 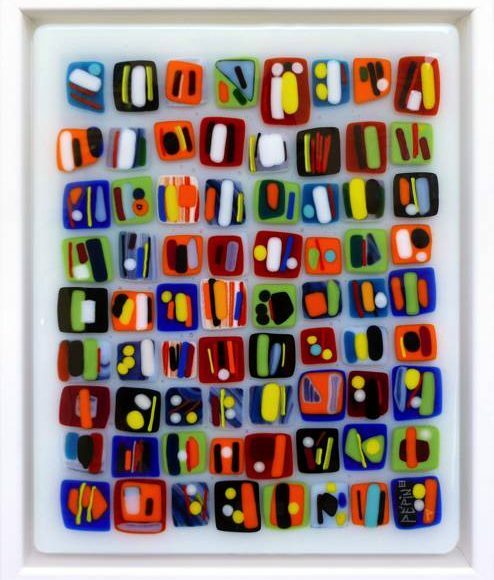 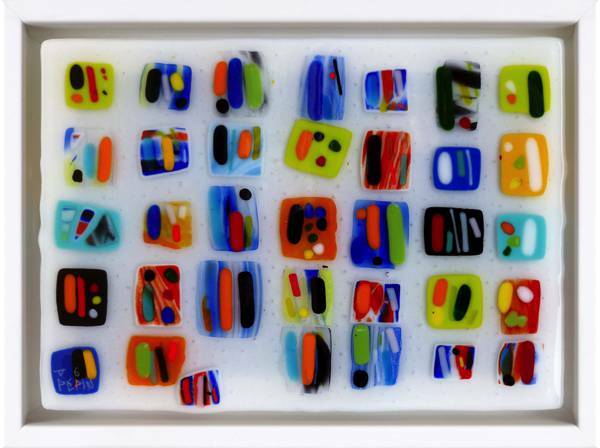 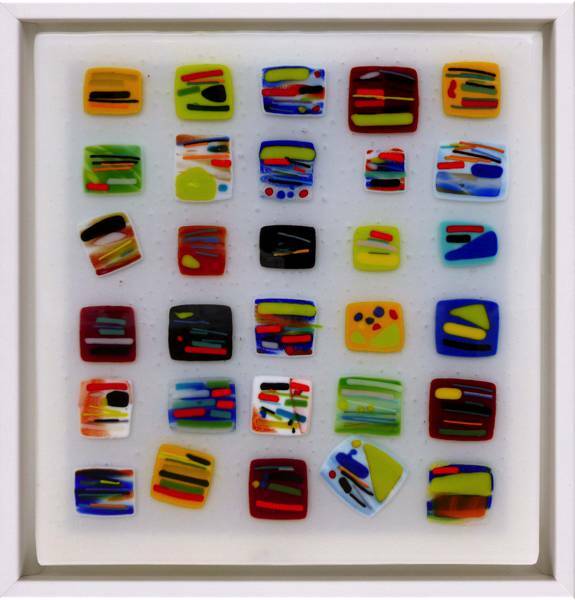 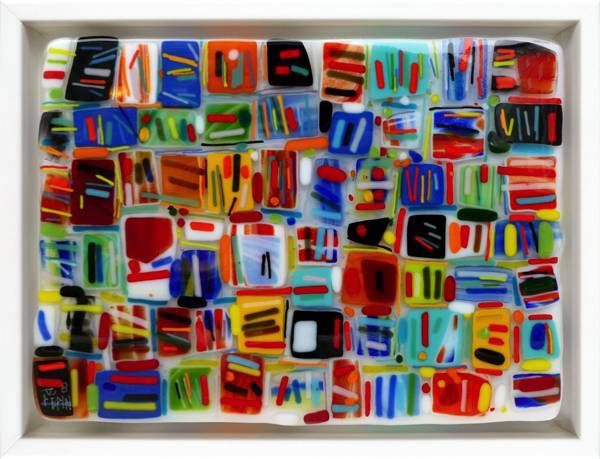 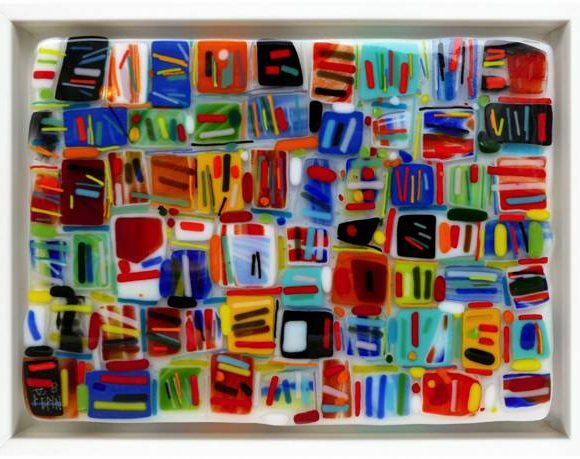 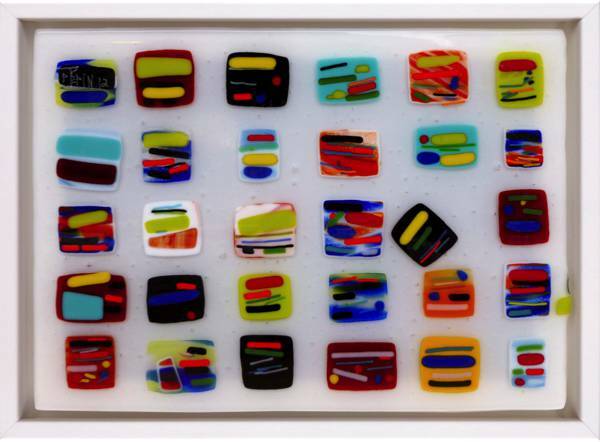 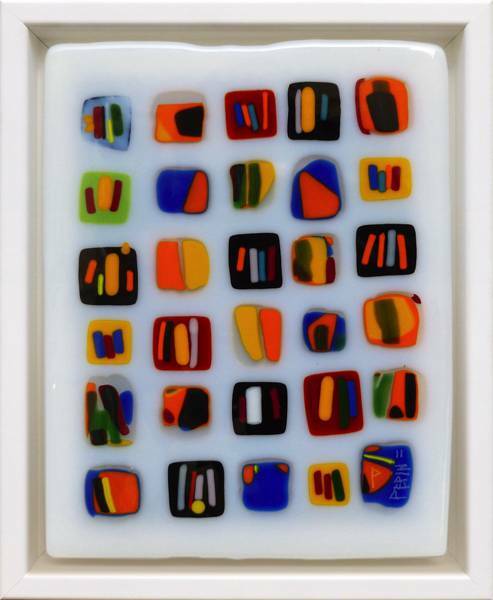 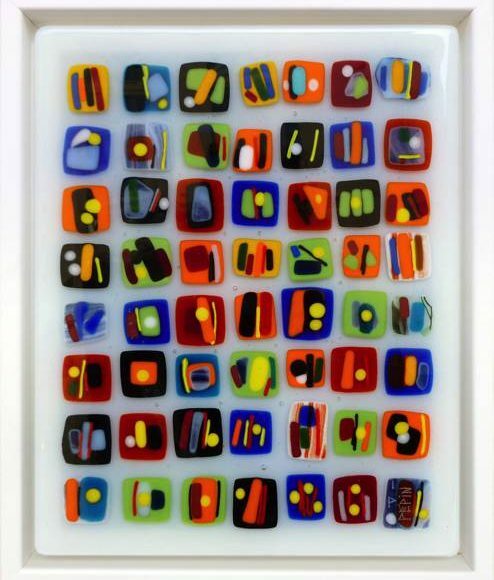 Each work consists of small glass squares cut by hand and paired with strips of colour. 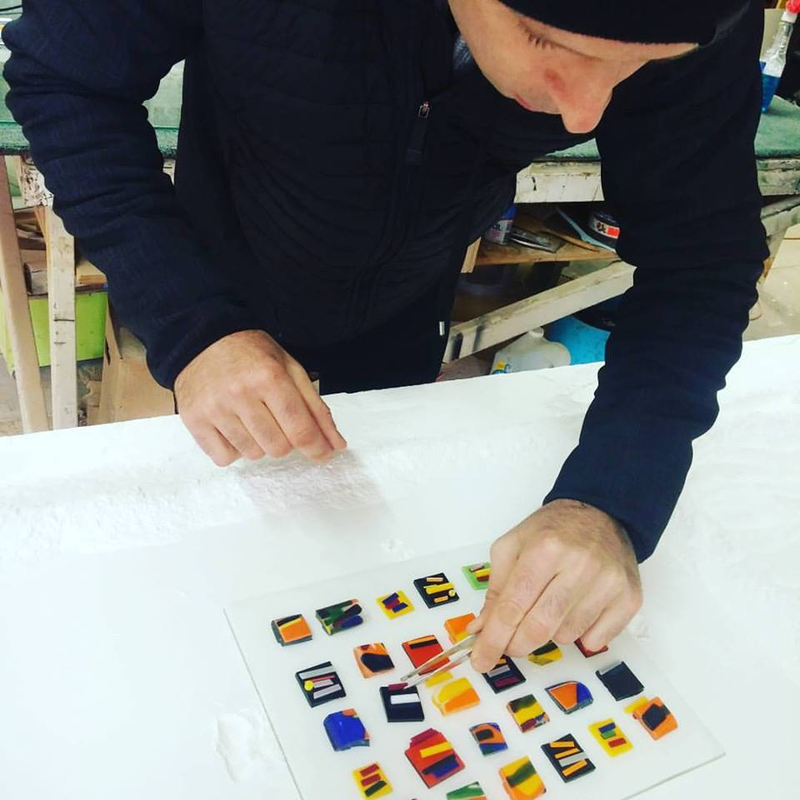 The assembled parts are then baked in a high temperature oven, a delicate step that fuses the parts into a coherent whole. 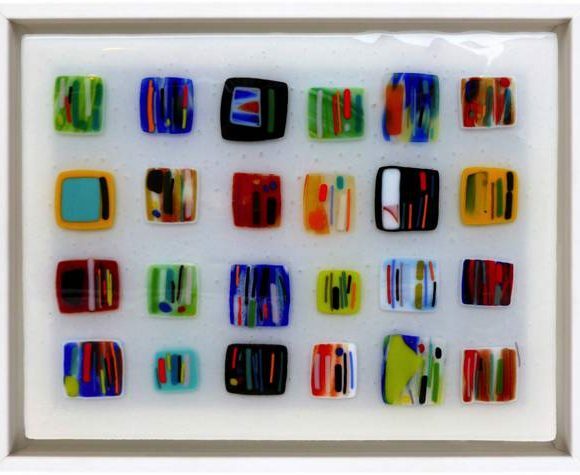 The works in this collection are variations on glass inspired by the Asia and Italy series. 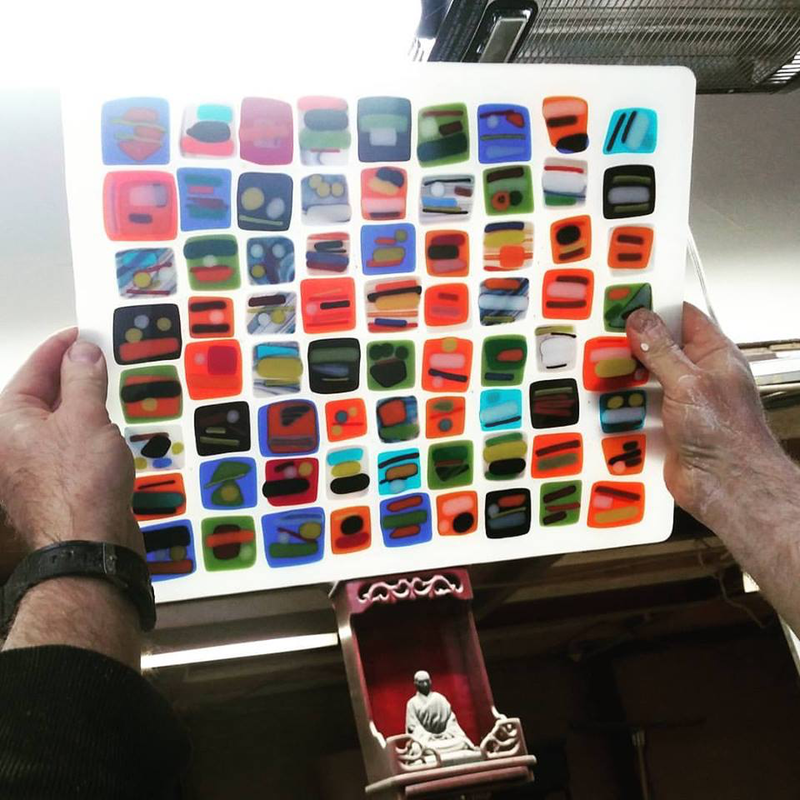 They are all unique. 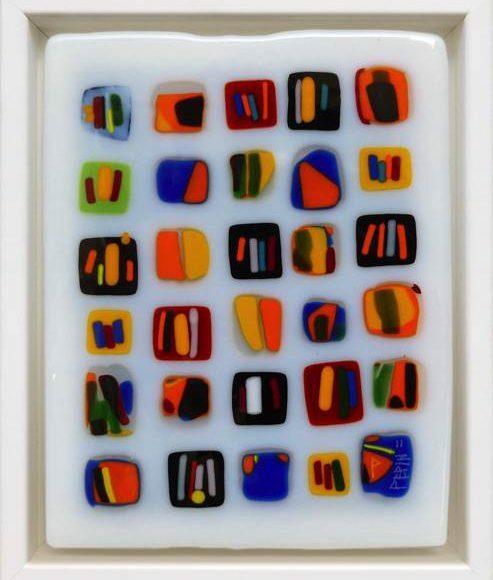 I will add other pieces to this collection, which I hope will be infinite.